With our air duct cleaning and sanitizing services, we get rid of contaminants completely. Whether you have a complex HVAC system or many dryer vents requiring cleaning, rely on us. 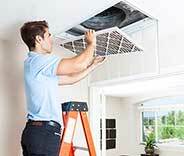 Our company provides high-quality and affordable air duct cleaning services. We can overcome any challenge and deliver exceptional results fast. Our company provides top-quality air duct cleaning services at affordable prices. Making sure your air ducts are cleaned regularly is an excellent way to ensure your indoor air quality remains safe to breathe. Both residential and commercial property owners can benefit from this. Learn more here. Your dryer's vent will inevitably be clogged up by lint, dust, and otherwise overtime. We can help get it like new again! To learn more about what we do, click here. From air duct cleaning to vent replacement, we offer numerous services that will ensure your air ventilation system is operating free of contaminants. Click here for our services overview. Whether you're in need of getting your attic's old insulation removed, installing new insulation, rodent proofing, or any other related services, we've got it all covered! Learn more here. The cleaning and replacement of HVAC unit filters must comply with industry guidelines. Our team can do just this, and will ensure that the air inside your home remains clean, fresh, and safe. Click here! How can you tell if your air ducts are blocked? Energy costs go up, air quality goes down, but it’s often hard for property owners to be sure if their ventilation system is working properly. That’s why you need the experts at Air Duct Cleaning Calabasas; based near you, this team will ensure your air ducts are clean and fully operational. Your property will be easy to keep comfortable, use less energy, and be free of potentially dangerous contaminants when the ducts are clean. 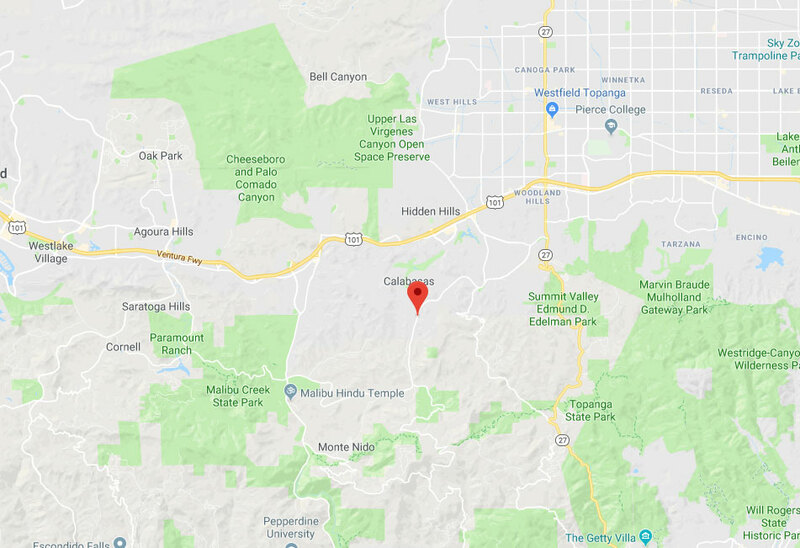 For residents and business owners anywhere in the local area, including Woodland Hills and Agoura Hills, this is the perfect choice for ventilation cleaning. If the flow of air through your ventilation system is disrupted, it makes it harder to keep your property at the correct temperature. Climate control costs will increase, while the rooms in the building stay uncomfortably cold or hot. That means you’re wasting money on electricity - schedule an air duct cleaning service to ensure all your vents and ductwork are properly cleaned. It’s easy for contaminants to enter the ventilation system at your property. 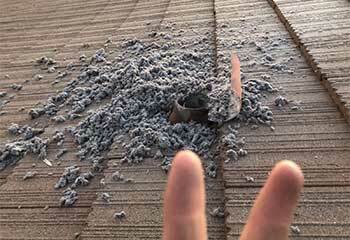 This can happen when insulation or construction materials are knocked loose or allowed to disintegrate. It can also happen when mold begins to build up in dark corners, which is especially likely if moisture builds up. Spores and fibers can be released into the air system of your building, potentially contributing to respiratory problems for anyone living or working within it. Ensure your ventilation system is clean by scheduling an appointment with Air Duct Cleaning Calabasas, whose service area covers the Calabasas area out to nearby Oak Park. Can you tell if spores or fibers have made their way into your air ducts? They’re not visible to the naked eye; the first sign is usually once they start causing health problems. Avoid this by scheduling professional air quality assessments at your property in the local area. Residents anywhere from Los Angeles to West Hills can benefit by testing the quality of their air, giving them a chance to clean their air ducts if necessary. Air duct problems can be especially problematic for business owners. 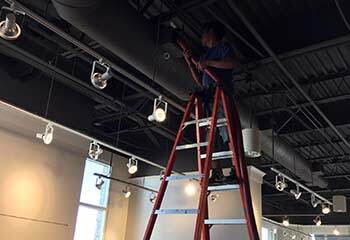 You need to be sure that customers and employees are provided with a comfortable environment, which is hard to do if your air ducts aren’t functioning correctly. It’ll be more difficult and costly to keep the building at the correct temperature, and you run the risk of spreading contaminants from vent blockages. 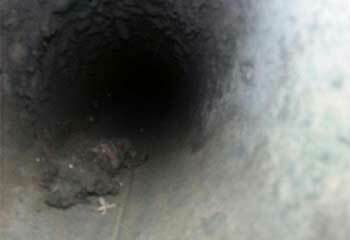 Air Duct Cleaning Calabasas provides commercial air duct cleaning in your area, so if you own a business anywhere from Calabasas to Woodland Hills they’re ready to help you. 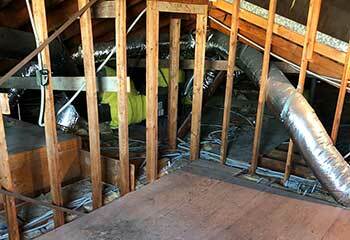 The air ducts aren't the only parts of your home that can get filled with dirt and debris. 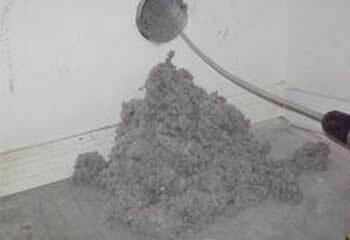 Your dryer vent is just as liable to become clogged and dirty, especially with lint. That's a major fire risk, one that you'll want to avoid 100%. Let the experts from Air Duct Cleaning Calabasas help you get rid of lint and completely clean your dryer vent to ensure it doesn't pose any fire risk. Safe is better than sorry, any day of the week. By using the services Air Duct Cleaning Calabasas offers, you can keep your home a much more pleasant and healthy place to be in. The air you're breathing will be fresh and clean, and you'll save money on heating and cooling by having a ductwork system with easy airflow. Save money and protect your health by using us for all your air duct cleaning and repair needs. 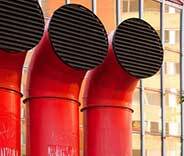 Our company understands what a huge investment air duct systems can be. That's why we offer our customers regular maintenance and checkups to minimize the time and cost of expensive repairs. That is why we are the best service provider in California. We always get the job done right the first time, and we can ensure your peace of mind. 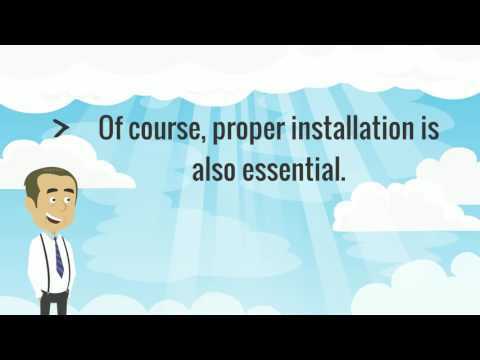 Need help with your air ducts or HVAC system? Read about our latest projects in the area here below. This customer hadn’t had his kitchen exhaust system inspected or cleaned for years and decided it was time to hire a professional. Is your energy bill suddenly rising? Read how we helped a customer with leaky HVAC ductwork. For improving indoor air quality, check out our air duct cleaning services in Calabasas. Find out how we helped a customer recently. 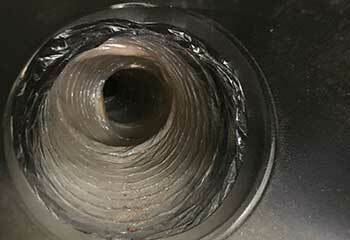 A clogged dryer vent is a serious threat, and we can clean it professionally, like we did for our customer. Read more. Choose our company in Calabasas for your business’s needs, like our customer did. Get the details. When contaminants get into the air ducts, count on us to remove them. Click here to read how we did it for our customer. Your air duct cleaning service was good for my home and for my wallet too. I’m more than happy with the spotlessly clean ducts and the affordable pricing. Based on my great experience with your company, I can confidently recommend your commercial duct cleaning service. You are the best specialists I’ve worked with and I will hire you again.